Muhammad Ali’s 1970 Rolls-Royce Silver Shadow to be auctioned | Car News, Reviews, & Pricing for New & Used Cars. 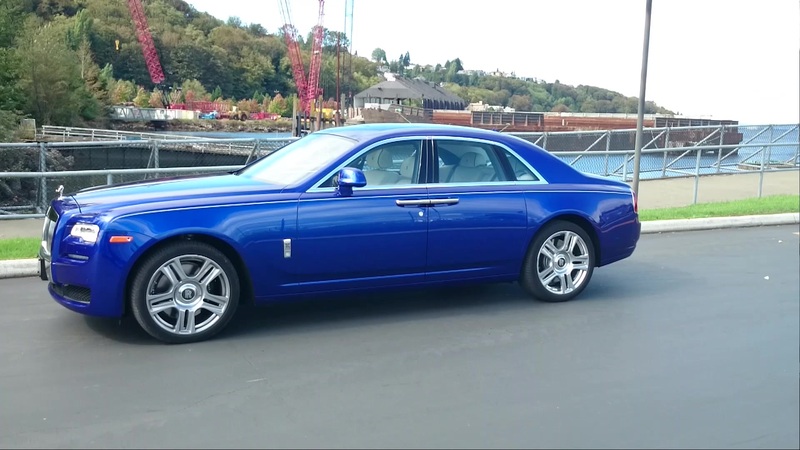 Boxing fans and Rolls-Royce fans, get your wallets ready. A very special car is going to cross the Bonhams auction block this October. It’s a 1970 Rolls-Royce Silver Shadow Mulliner Park Ward convertible that was owned by none other than Muhammad Ali, the boxer that ended George Foreman’s undefeated streak. Bonhams reports that the car was owned by Ali for 6 years, meaning Ali must’ve enjoyed this car and used it quite a bit. The company postulates that since Ali bought the car in 1970, it may have been a celebratory purchase, since that was the first year Ali could box again after a five-year ban from the sport for being a conscientious objector during the Vietnam War. The car itself has a number of notable features. For one thing, Bonhams says the car is completely unrestored, and is in quite good condition as such. It also is apparently one of just 272 Silver Shadow Mulliner Park Wards that were built with left-hand drive. It ended up in Holland after Ali’s tenure with it, which is partly why it will go for auction at a Bonhams auction in Belgium. Also interesting is that this is a celebrity car – a nice one, too – that is in the realm of affordability. Bonhams estimates it could sell for between $47,000 and $70,000. The low end of that price is actually a couple grand less than Hagerty’s estimate of $49,200 for a concours-ready example without celebrity history. And even at the high end, you’ll still be paying way less for this than, say, a new Rolls-Royce Ghost. So if you can get yourself to Holland and have the means to buy and ship the car, this could be a way to get a great celebrity car for not a massive amount of money.